This is an exclusive offer for us, InterNations. 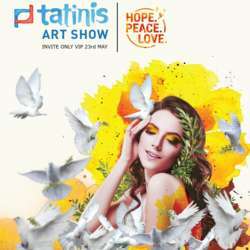 Invite Only VIP by the founder of Tatinis Art Show, a very good friend of mine. There will be free welcome drinks for the first Protected content . Looking forward to personally welcome you there!